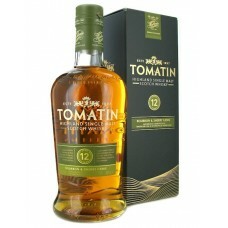 Tomatin Whisky Distillery was built in 1897 in the village of Tomatin, south of Inverness. 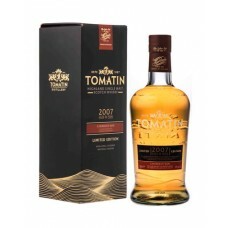 The Tomatin Whisky Distillery operated with two stills until 1958 where-after stills were added to increase capacity, eventually reaching production of 12 million litres of whisky per year during the late 1970's. 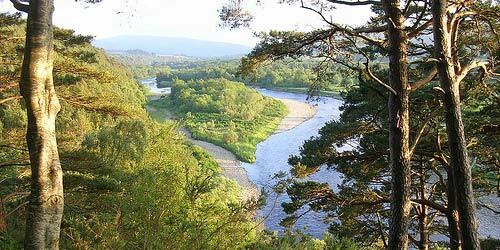 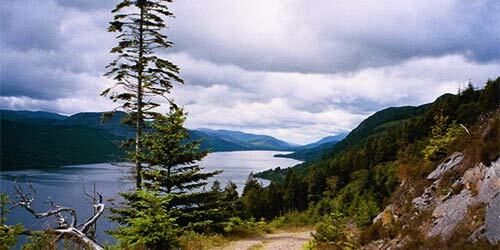 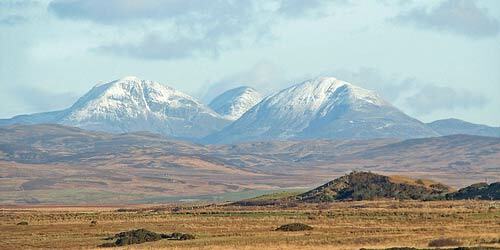 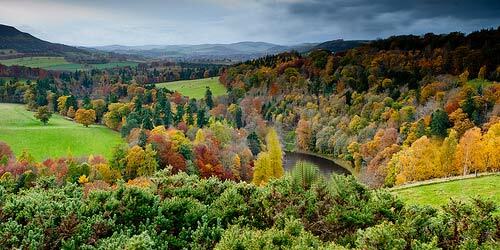 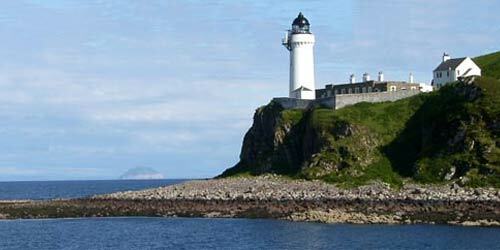 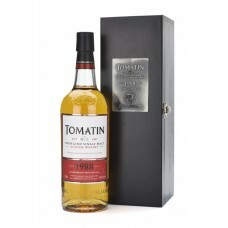 In 1987 Tomatin Whisky Distillery was referred to as "the largest malt distillery in Scotland". 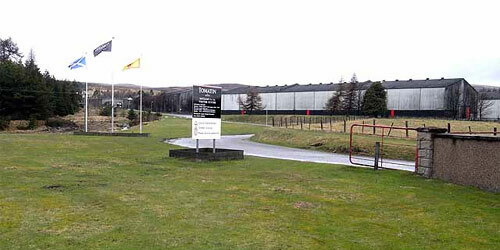 Stills have been dismantled since the mid 1980's, bringing the total annual capacity down to just over five million litres. 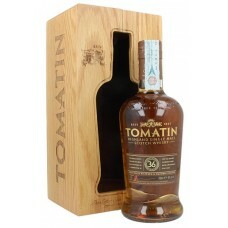 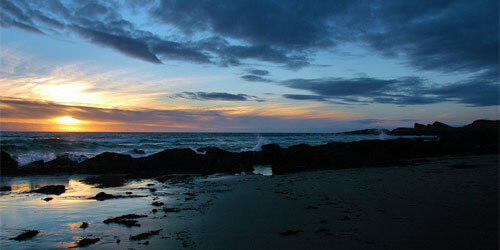 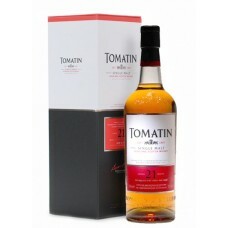 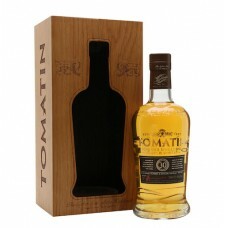 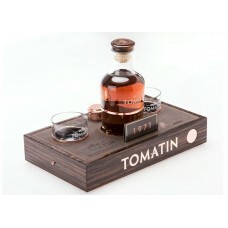 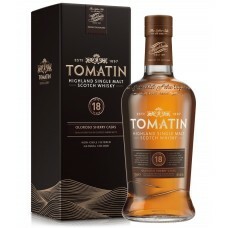 Around eighty percent of Tomatin's whisky goes into blended whisky, including its own brands of Antiquary and Talisman. 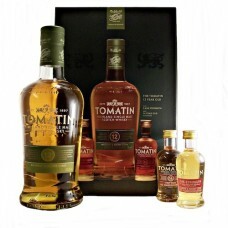 The distillery, as of late, has been making an effort to bolster its name as a producer of single malts and is expanding its core range. 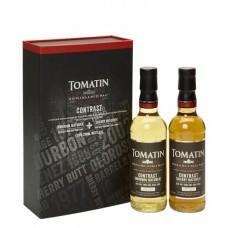 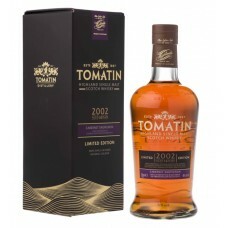 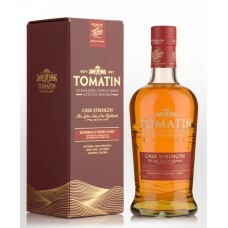 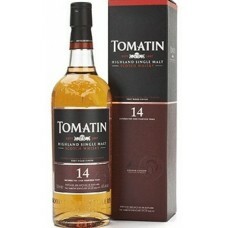 In 2003, Tomatin's basic 10-year-old malt was replaced by the 12-year-old. 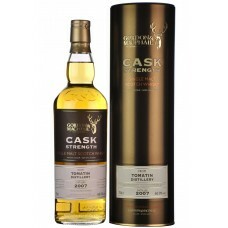 Other limited releases are often made, including a 32 year, a 40-year and single-cask offerings. 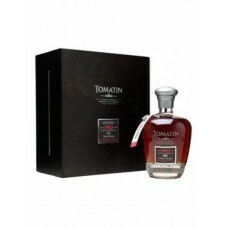 Tomatin 12 Year Old Gift Pack is a very nicely packaged single malt whisky and miniature pack from T..
Tomatin 14 Year Old 2002 Cabernet Sauvignon Cask Single Malt Whisky is a limited edition from the To..
Tomatin 14 Year Old Port Wood Finish Single Malt Whisky was added to Tomatin Distillery's core range..
Tomatin 18 Year Old Single Malt Whisky has been aged for a minimum of 18 years and married for a per..
Tomatin 21 Year Old Limited Edition Single Malt Whisky has been crafted using Tomatin malt whiskies ..
Tomatin 30 Year Old 2018 Release is a rich and elegant single malt finished in ex Bourbon barr..
Tomatin 36 Year Old - Batch 3 Single Malt Whisky is a rich and elegant single malt matured in a comb..
Tomatin 9 Year Old 2007 Caribbean Rum Cask Single Malt Whisky is a first for the Tomatin Distillery;..
Tomatin Cask Strength 57.5% Single Malt Whisky was matured in a combination of Bourbon and Oloroso S..
Tomatin Contrast Limited Edition features two 35cl bottles of single malt Scotch whisky. 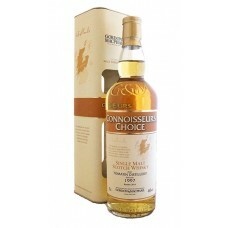 The whiskie..